Enterprise Equity VC announces the successful exit of its investment in Movidius, a leading Vision Processing company, to Intel in a deal announced this morning. 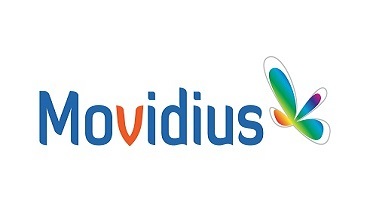 Enterprise Equity VC was the first Irish institutional investor in Movidius, backing the original promoters in 2008. Enterprise Equity VC (through its AIB Seed Capital Fund) has supported Movidius in its journey towards becoming a world leading developer of embedded computer vision and machine intelligence technology, combining ultra-low power design with high performance processing. The official text of the deal announcement is shown below. Today, I’m excited to announce the planned acquisition of Movidius by Intel. Movidius’ mission is to give the power of sight to machines. As part of Intel, we’ll remain focused on this mission, but with the technology and resources to innovate faster and execute at scale. We will continue to operate with the same eagerness to invent and the same customer-focus attitude that we’re known for, and we will retain Movidius talent and the start-up mentality that we have demonstrated over the years. Our leading VPU (Vision Processing Unit) platform for on-device vision processing combined with Intel’s industry leading depth sensing solution (Intel® RealSense™ Technology) is a winning combination for autonomous machines that can see in 3D, understand their surroundings and navigate accordingly. Today, we’re working with customers like DJI, FLIR, Google and Lenovo to give sight to smart devices including drones, security cameras, AR/VR headsets and more. But today’s smart devices, while compelling, offer just a glimpse of what’s to come. When computers can see, they can become autonomous and that’s just the beginning. We’re on the cusp of big breakthroughs in artificial intelligence. In the years ahead, we’ll see new types of autonomous machines with more advanced capabilities as we make progress on one of the most difficult challenges of AI: getting our devices not just to see, but also to think. Movidius has been attacking this challenge at the device level – combining advanced algorithms with dedicated low-power hardware. At Intel, we’ll be part of a team that is attacking this challenge from the cloud, through the network and on the device. This is very exciting. I’d like to thank our chairman and investors for their support and partnership through the years as we built our vision into a business. You can read more about Intel’s plans for Movidius here. We are so energized to write the next chapter of our journey. The future looks awesome. Last, but not least, to my co-founders David and Sean: we would not be here today without the passion, resilience, humility and unwavering commitments you showed in the most difficult times. Sláinte!